December will be here before we know it! 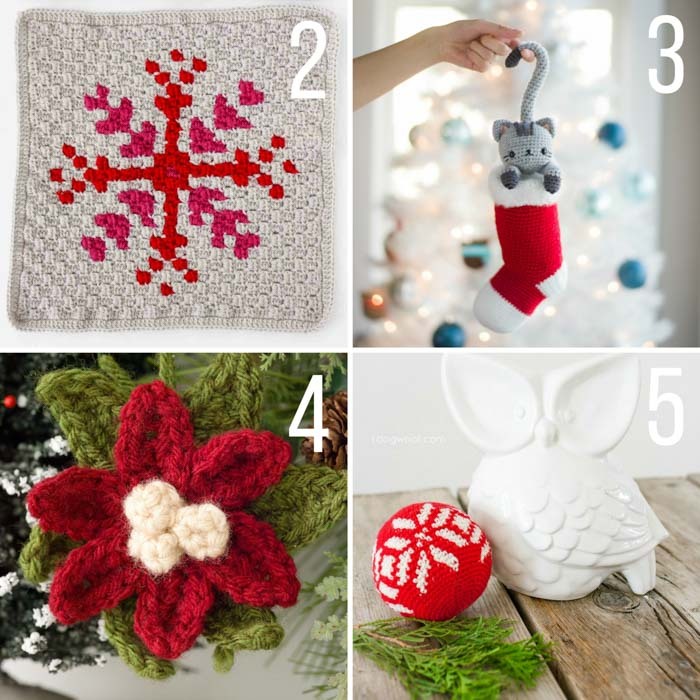 Get inspired with these free Christmas crochet patterns including a modern c2c afghan, tree skirts, ornaments, reindeer, poinsettias and more! I know, I know. It’s obnoxious to post about Christmas in August. Who do I think I am? Macy’s? The thing is, it was just about this time last year that I started my corner-to-corner crochet Christmas afghan. It was SO unlike me to start something that far in advance, and let me tell all you non-planners (like me! ), it felt like something close to a Christmas miracle to actually finish something without all the usual stress of up-crocheting-at-three-am business. Instead, I completed this C2C afghan before Thanksgiving and my family was able to enjoy it all December long. It was a wonderful (and foreign!) feeling to be so prepared. 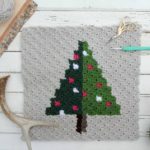 So in case you’re a always-winging-it kinda person, but especially if you’re a plan-ahead person, I’ve put together this list of free Christmas crochet patterns you can get a jump on now to have a lower stress holiday season. 1. 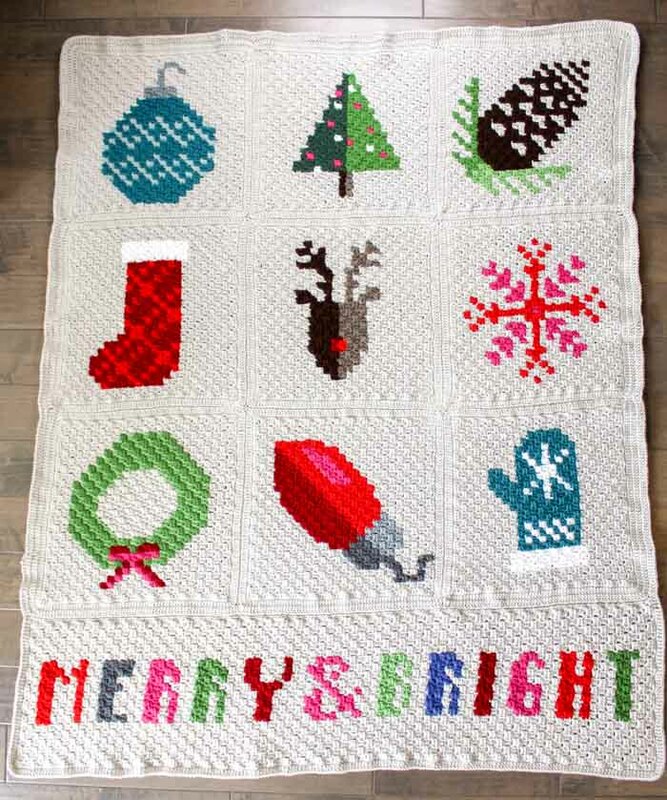 Modern Corner to Corner Crochet Christmas Afghan from Make & Do Crew – This baby was my big project last fall and I’m so excited to bring it out again this winter. Each square is made from an individual graph pattern, which means you can pick and choose a few to repeat or make all nine for an afghan like mine. 2. Snowflake Corner to Corner Pillow/Afghan Square from Make & Do Crew – This snowflake pattern is one of my favorites in the C2C Christmas afghan and I think it would make a beautiful pillow for the winter season. 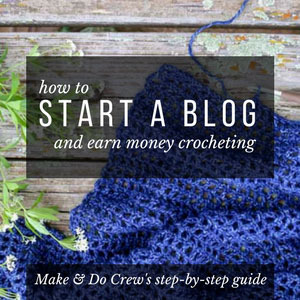 You could also work up several in different colors and make an afghan entirely out of snowflakes. 3. Chester the Christmas Cat + Functional Stocking from All About Ami – This adorable little amigurumi cat sits atop a fully functional stocking. How cute would a set of these be hanging from your mantle, each one personalized for a kiddo in your life? 4. 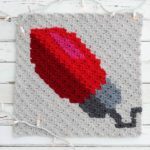 Crochet Poinsettia Ornament from Lion Brand – This simple poinsettia pattern is the perfect way to use up scrap yarn and add a handmade touch to your Christmas tree or gift wrap. I think these would be awesome way to dress up a hostess or neighbor gift like a bottle of wine. 5. Fair Isle Snowflake Ornament from 1 Dog Woof – I love the look of Nordic snowflakes like this! (In fact, I created a super scarf pattern with them you can find right here!) These modern ornaments feel so special and would be a thoughtful, handmade gift to have on hand when you need a last minute present. 6. 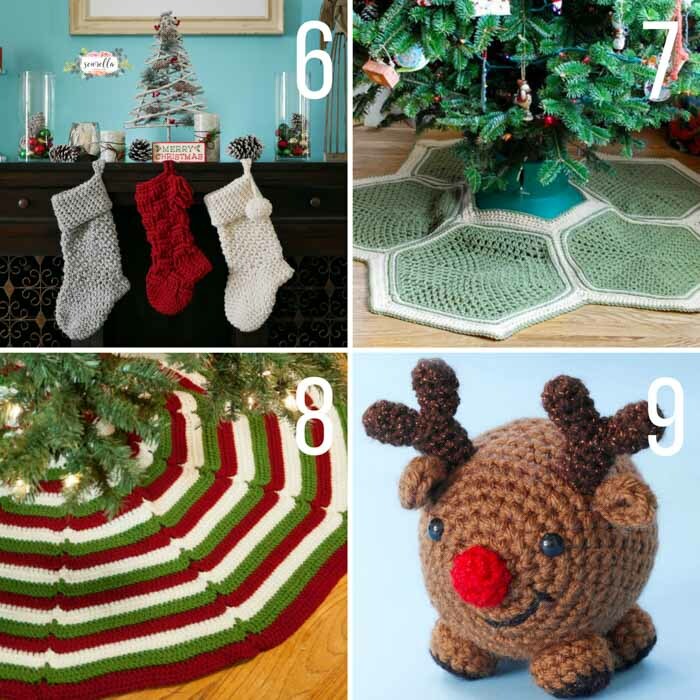 Jumbo Crochet Christmas Stockings from Sewrella – These sweet stockings only require one skein each of Lion Brand Thick & Quick to make, so they’re an affordable and speedy way to add some handmade decor to your holiday. 7. 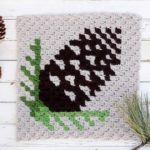 Granny Hexagon Crochet Tree Skirt from Petals to Picots – Crochet hexagons are so versatile! (You can see how I used them in an afghan and a cardigan!) I love the modern look Petals to Picots created with some simple hexagons in this free pattern. 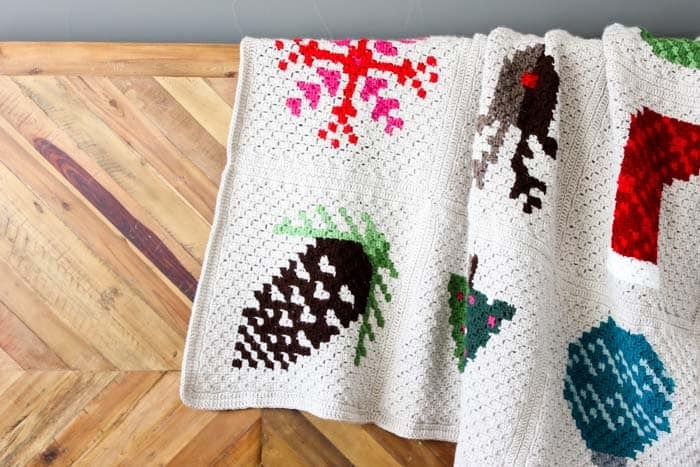 You can grab a kit from Lion Brand here with all the yarn to make this tree skirt, plus a copy of the pattern. 8. 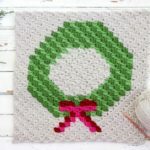 Happy Holidays Crochet Tree Skirt from Moogly – This crochet tree skirt pattern looks stunning in traditional Christmas colors and I think the simple, modern design could also be neat worked in an alternative color palette. 9. Happy Reindeer from Lion Brand – These little guys will work up in no time! If you have a lot of grandchildren (or any kind of children 🙂 ) in your life, you could make a whole gaggle of cute reindeer to gift this Christmas. 10. 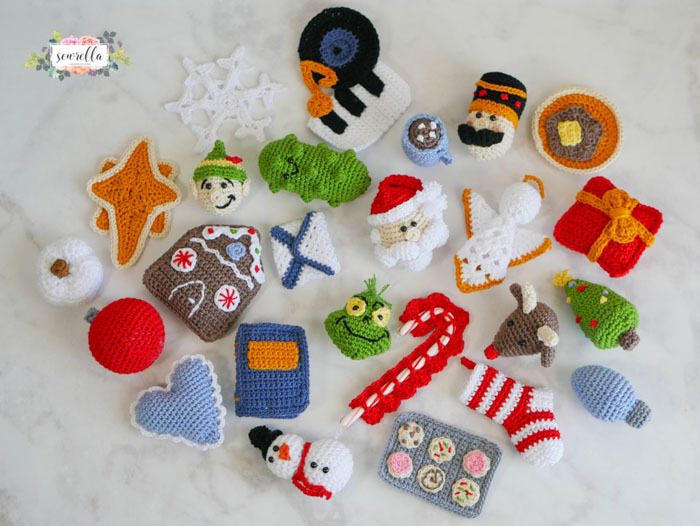 Christmas Traditions Ornament Crochet Along from Sewrella – If you like the idea of decking your tree out in crochet ornaments, this collection of 25 free Christmas crochet patterns is for you. I’m sure pulling these out each year would become a beloved holiday tradition. To keep your yarn shopping super simple, you can purchase a kit from Lion Brand here that includes all the yarn colors you’ll need to make your ornaments, plus a copy of each pattern. 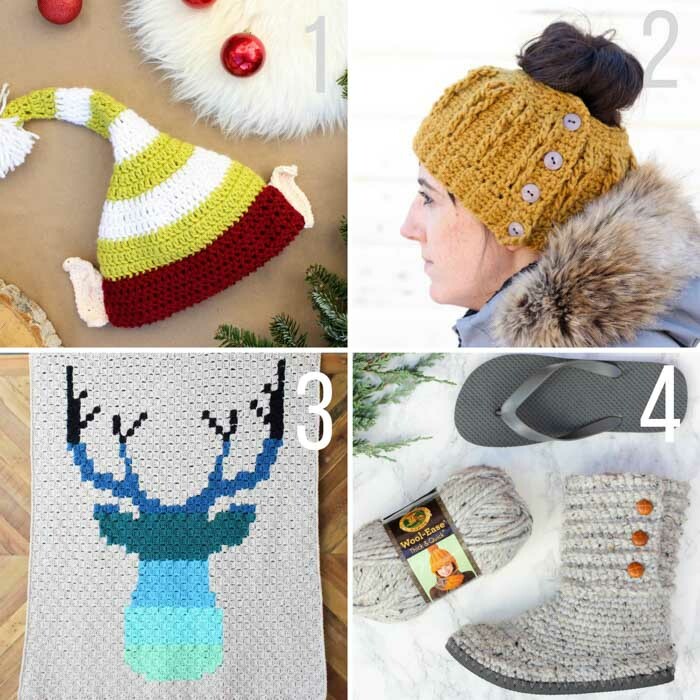 And while we’re at it, here are a few more free wintery crochet patterns from Make & Do Crew you might enjoy!